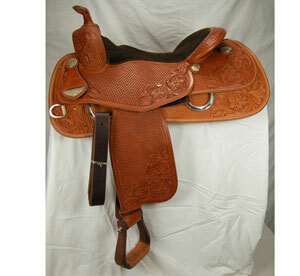 Avila's Pro Shop is proud to offer "Bob's Custom Saddles" in our product line. From the "simple" to the "very elegant", from "no silver" to "loaded with silver", from "no tooling" to "completely tooled". Bob's can provide exactly what is desired. Most of the "Bob's Custom Saddles" we sell were designed by many-time(s) World Champion Bob Avila. 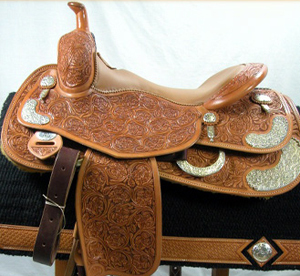 We can custom-order any model saddle made by "Bob's Custom Saddles".Try to equal the quality, comfort, and price and we think you'll agree that these saddles can't be beat. 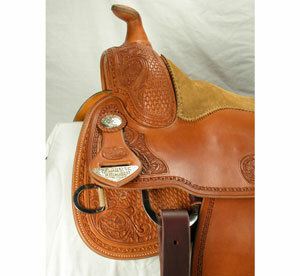 Our prices, expertise and service make us the place to buy your next "Bob's Custom Saddle".